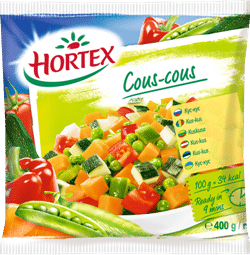 Delicious compositions of pastas and vegetables combined with gorgeous sauces and spices. For gourmets of spinach – Tagliatelle with the spinach sauce, and for foodies keen on hotter dishes or herbal tastes – appetizing Gnocchi with butter and herb sauce, and Pappardelle with the creamy herb sauce, and for those who are fond of meat extras – aromatic Spaghetti Carbonara or Farfalle with the Bolognese sauce. 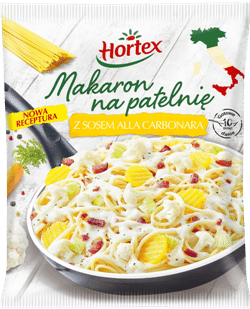 Stir-fry pastas by Hortex are a perfect idea for lunch or dinner in an Italian style… and you can prepare them just 10 minutes! * The salt content is due to the presence of naturally occurring sodium.